You can send your luggage and boxes to Argentina with Send My Bag. No matter if you are on holiday or relocating to Argentina, sending your bags can save you a lot of stress when it comes to using public transport. It also means that you can take many more of your personal belongings with you than if you brought them on the plane. Send My Bag has lots of international routes, with a great-value flat rate for each route up to a massive 30 kg. This means that you can bring your favourite clothes, books, cuddly toys, etc. to help you set up home abroad. To find out more about sending baggage to Argentina, visit our ‘How it works’ page, or check out our ‘FAQs’. If, on arrival in Argentina, you realise that you have left something behind at home, you could ask a family member to send a package to Argentina for you. You can also send and receive Christmas or birthday presents, or even a care package, and so keep in touch with loved ones. This is a great idea for students spending a year abroad in Argentina or for expats who have gone to live in Argentina. Send My Bag can send parcels internationally to Argentina for you. Please ensure your parcel is packaged properly so that everything arrives in one piece. Find out more about how to send a parcel with Send My Bag and how to package your items. When shipping goods to Argentina you need to do your homework to make sure that you follow the country’s customs rules. Argentina’s customs regulations are notoriously strict, so you should make yourself fully aware of any duty that you need to pay and what items are allowed to be shipped to Argentina, which items have restrictions attached, and which are entirely prohibited. You should have a look at the section below on ‘What can I send to Argentina? What items are restricted?’ As you will see below, items that you are restricted when shipping to Argentina include: perishables, credit cards and cheques. There are plenty of amazing sights in Argentina to fill a long holiday. The top destination has got to be Iguazú Falls in the north east of the country, which consists of around 275 waterfalls to marvel at. 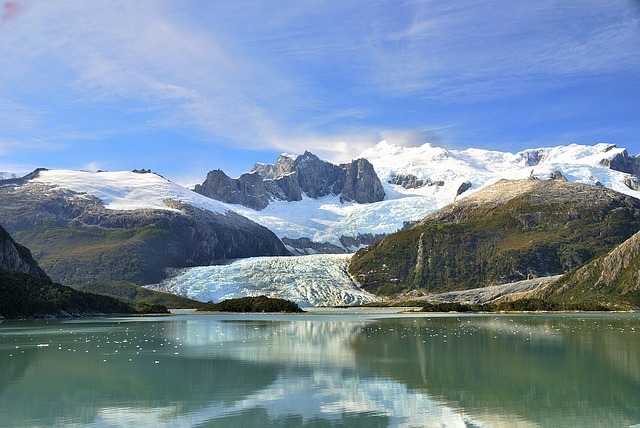 Another area of natural beauty that you must check out is Los Glaciares National Park in the South West, bordering Chile. This UNESCO World Heritage site boasts almost 50 large glaciers and 200 smaller ones. In these surroundings visitors can enjoy breath-taking hikes and other winter sports.